Thought I would make a suggestion thread for our Lurker to read. Please keep your suggestions/hopes/dreams short and to the point, and don't argue about other's ideas. This is just to get our wishes out there... so..
1) Add another of the dragonhawk skins, black or grey please! 2) Gorilla family needs some love. Yetis? I would like a white NE cat druid named Azun'ra wandering around Stormwind as a rare spawn. No really though. I'd like a flamey devilsaur, maybe a snowy/icy wind serpent, Rak'shiri to be normal skin again, and the ice cougar skin used as a spirit beast. I'm in love with all the pets out there. The last one I'd chase to the ends of the earth would be a gold saber cat rare spawn, or a spirit beast that looks like a jackal statue in uldum. 1. A nature (brown and green with leafy stuff?) themed pet, like a wolf or owl. I like brown and green. 2. More bat skins. I actually kind of like them. A nice black bat would be neat. 3. More Devilsaur colors. Blue? Bronze? 4. More uniquely modeled SBs. Not saying I don't love the ones we have. 5. I was digging through Model Viewer a looongg time ago and saw a light grey/tan Epic Riding Cat mount with silver and red armor. I want. 6. 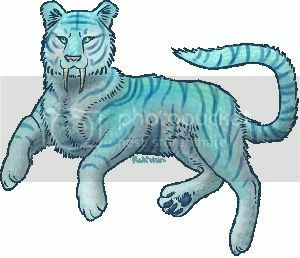 I love the white riding tiger model, so give it to the common Sabercats around Ice Saber Rock and let everyone have their aqua kitty stay aqua. 7. Broken Tooth gets the gold riding tiger model. I'm gonna go out on a limb and say, I would love some more skins in the Sporebat Family! They could be of a different style eg, "wolf" "Birds of prey" and "cat" skins. What is a spore bat anyway? They sound like there could be some in deepholm or some lush untouched jungle / forrest...? 1) More love for some of the minimal skinned groups. Some extra sporebats? How about nether rays? 3) Tameable hydras and basilisks. Whether they have the same family or a different one. 4) Using some of the unused models. Golden sabrecat? Flaxen sabrecat? Icy panther? Grey/black dragonhawk? 5) More challenging tames. Not the 'camp this critter for a week' challenge. Ghost wolf type challenge. Krush-type challenge. Gezzarak-type challenge. A challenge that takes multiple players or a difficult setup to get hold of them. 6) More unusual/unique skins on non-exotic critters. Cats have gotten a lot of love here (almost *too* much by comparison! ), and of course there's Terrapene, but I'd love for there to be others so the Beast Masters aren't the only ones that can boast a rare and gorgeous pet. 7) Re-skinning all the rare beasts as unusual skins. You've done a fairly good job with the cats. Now how about some of the other rare critters running around? EDITED: One I thought of before going to bed. 8) Changing the technique of *either* the Dragonhawk or Windserpent, or making one or the other Ferocity. As it is, we have two Cunning pets with the exact same ability. Spreading the ability to another tree would allow for a little more flexibility on that. All the other abilities are split between trees (other than the Shell Shield/Carapace, and that's understandably Tenacity-only), or at the very least between normal and exotic pets (Devilsaur/Wolf, Spirit Beast/Cat, et cetera). Last edited by Kurasu on Wed Nov 17, 2010 1:04 am, edited 1 time in total. I need more hunters, IMO. "A hobby should pass the time, not fill it." --Norman Bates "Psycho"
Hehe...if we can't have Hydras as a new pet family I'd be happy to see the Ghost Hydralisk tameable again. My second wish is to have the spirit strike animation restored to spirit beasts. My third, like many others, is tameable hydras. Last edited by spirithunter on Wed Nov 17, 2010 1:14 am, edited 1 time in total. Is there a skill where the Hunter and the pet switch places? If so I'd like that and we can call the skill "Castling", after the chess move. However, I think it looks more like a Warlock or Mage skill than a Hunter skill, sad to say. Nothing. I don't want anything. I'm tickled pink over the new changes, the new zones, the new skins, and the new talents. Thank you so much Blizzard. Sorry we had to camp you for like, 6 years. *hugs all of Blizzard anyways* I'm trying so hard not to be greedy, but really I want to run around gibbering and taming anything that flies, crawls, gallops, lopes, hops, bounds, sneaks, knuckles, charges, slithers, or otherwise moves in any sort of fashion whatsoever. First, I'd like to thank "our lurker" for all the new pets we're getting in cataclysm before pestering them with a suggestion. THANK YOU! Now, since most of the unused skins/un-tamable pets I'd like have already been suggested several times in other threads...I'd like to post an idea for a better solution to the Red Hyena to Mastiff "dilemma". Seems like this would be a pretty good place to post this idea. Instead of the rare in Tanaris being the ONLY below-85 level red hyena, why not change a more common mob to red instead? 1) There are 3 Brown Hyenas with different names/levels (so different ID #s?) in Desolace. Surely it wouldn't upset too many people if just one was changed to red? 2) There's also 2 Orange Hyenas, even though they're in different areas and different levels, both are pretty easy to get so it shouldn't cause too many problems to have the higher level on be red (it's nearly the same level as the current red hyenas). 3) Finally there's 2 Yellow Hyenas, again found in different areas/levels, but also shouldn't cause too many problems if the higher one is changed to red. It's even about the same level and comes from an instance like the current red ones. I'm not sure how difficult it would be to change it now/if there's time, but I'd really appreciate just being able to know that come cataclysm I can get my beloved Ammy back with as little heartache as possible. Edit: REALLY hate to add to this, but I still miss Eyes of the Beast myself...just in case "the lurker" could have any sway in bringing it back. Last edited by Kaswryn on Wed Nov 17, 2010 7:38 pm, edited 1 time in total. I know there is a bit of a debate about this suggestion, but Zhevras, stags, Elekks, and all of the ungulates. There are people that don't find them appropriate as pets, but one could argue that several of the beasts that we can tame are silly hunter pets (ex. Worms). I have been pining over Swiftmane since forever. I would love to tame him. PLEASE! -Rhino's stampede bleed debuff is useless for bm hunter, change it to either armor redux, or stun or disorient. -if lorewise clefthoof aren't reptile, can you group it as rhino? -charge changed into spirit blow/strike/whatever is appropiate and retains the older version of spirit strike' moonfire visual effect. -add shoveltusk to the family if it's ok lorewise. Lurker? Some Blizzard employee is floating around then? Anyhow, I'm thrilled to see the additions to the Turtle department. There where no spiky turtles in TBC or winterized tanks in Wrath, making these two new turtles in Cata the first since vanilla WoW! 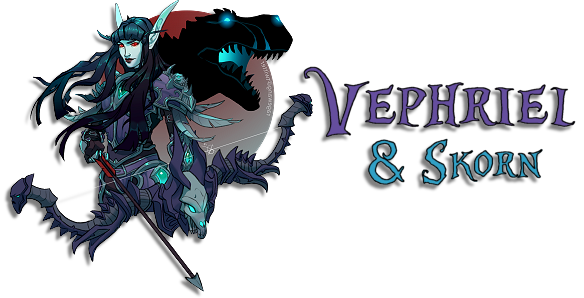 I've had Kresh from Wailing Caverns since my first hunter hit level twenty back in 2006, so maybe I'm biased. Mr. Perfect - A nickname fraught with peril. This is more of a long-term project to fill out underrepresented families. I can say you might expect the missing pink dragonhawk skin to appear in an old place soon (but not at release). And many, if not all of the rest of the untamable skins that belong to existing models should appear at the very least on rares in a later patch after release. That's NOT counting all the obscene number of glowing eye cat model versions of skins or gemstone skins. It's not so many now that > 100 have been taken care of so far! I'm also pretty sure they're still looking towards adding fun new families from old mobs but didn't have time before release. All the added necessary animations would require art or animation work, as well as new powers and balancing, so it would all take a lot of time. Even trying to cut corners by cramming them into existing families wouldn't save much of the required work. And this is all very understandable, considering that some existing pets don't have full animations either. Oh and yetis are humanoids. Any in the game that aren't are probably mistakes. I should add that there's a huge difference between requesting a missing skin from the database (see my sticky thread of untamable skins) and requesting more skins for a family where no skins currently exist. The latter requires artists to come up with them in their spare time the former is way simpler.